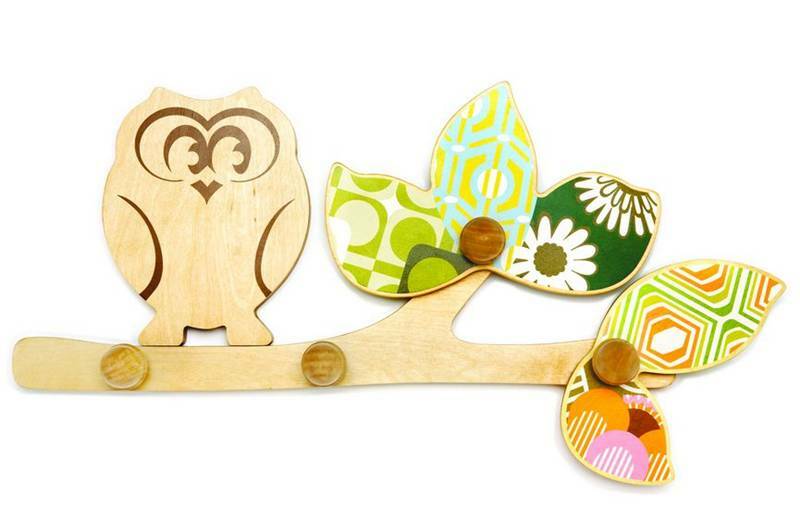 The wonderful eco-friendly bookends and beautiful enchanted tree from Cocoon Couture allows you to add a splash of magical and functional forest art to your child’s room, and their new Enchanted Wall Hooks are no exception. These useful wall hooks can help enchant your child into hanging up her coat or bag in the proper place, and are eco-friendly to boot. Each wall hook is handcrafted from environmentally friendly plywood from FSC managed forests and finished with non-toxic varnish and inks. The wall hook designs features silk screened wooden leaves with prints inspired by vintage wallpaper. Delightful screw in acorn pegs, in place of traditional hooks, are safe for kids and can be used for hanging everyday items or special treasures, such as play jewelry or costumes.